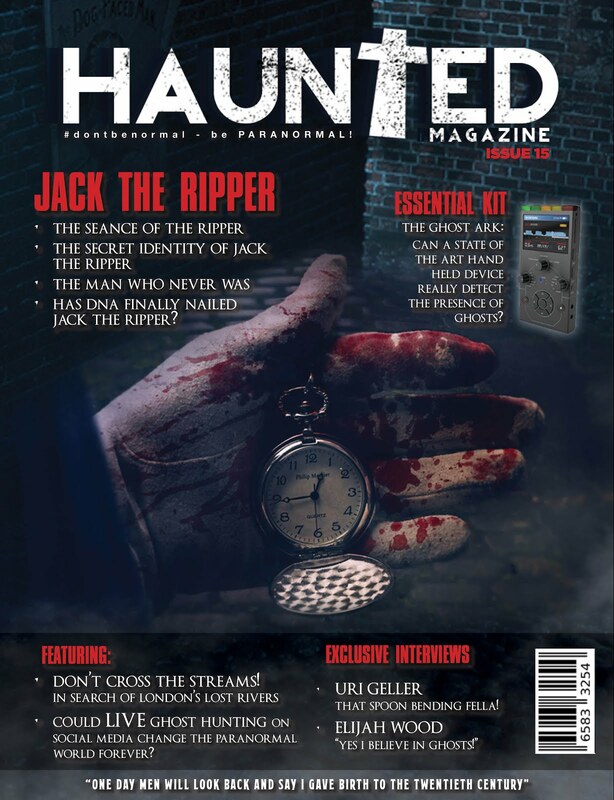 Haunted Magazine: THE GLITTERATI, THE ILLUMINATI AND THE FIVE NIGHTS LIVE PARANORMAL PARTY.... BRING OUT THE DEAD CARPET!! 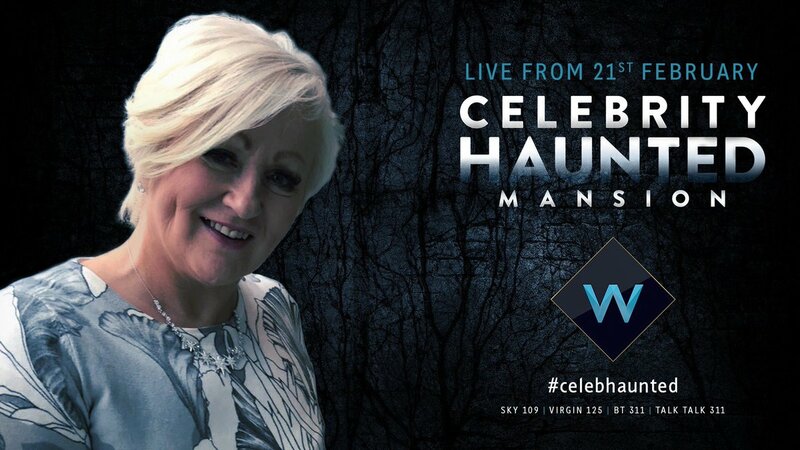 Like them or loathe them, Celebrity Ghost Hunting shows are paranormal pleasure for some and W UKTV have pulled out all the stops with this one, social media, advertising, more experts than you can shake a Ouija board at, even recruiting 2 experts of the paranormal from across the pond. Just look at what they've been doing to promote their new paranormal show. 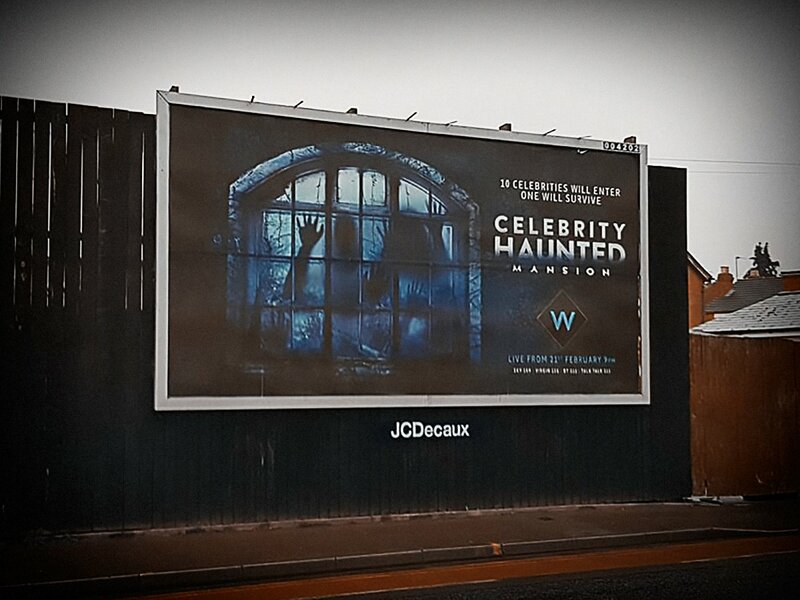 UKTV's premium entertainment channel W is using disruptive scare tactics to build anticipation for new reality TV show Celebrity Haunted Mansion. With the show filming in what is said to be one of the UK's most haunted buildings, the sense of fear will be palpable. To amplify anticipation for the scare factor, UKTV has launched an integrated creative campaign to engage viewers ahead of, and during, the five-day schedule. Leading the campaign, and tapping into the public's fascination with horror, is a spooky billboard designed to unsettle onlookers during the day before morphing into a terrifying animated image and sound display after dark. Over 800 national sites and 48 sheet sites promote the launch with the line "10 celebrities will enter. Only one will survive" to build intrigue. "Another 150 digital sites will showcase all the famous faces in the Mansion - each day these will be whittled down as stars are voted out of the show. 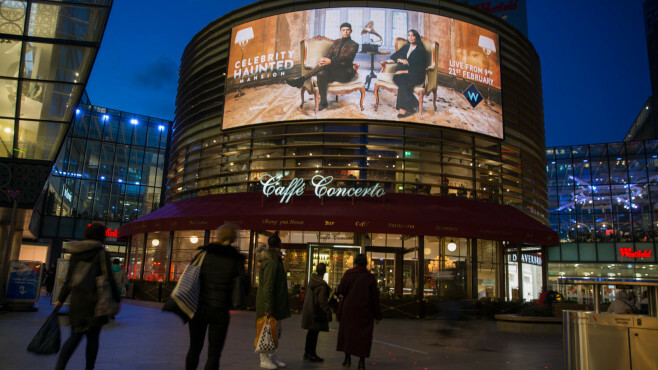 The digital sites include Waterloo Motion, Liverpool Media Wall and Birmingham Media Eyes. 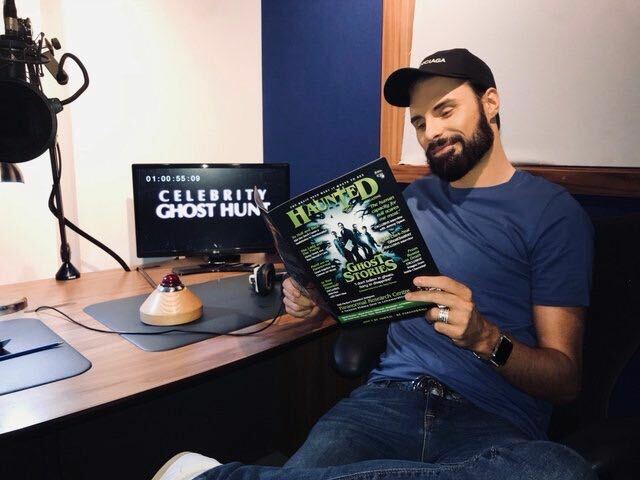 After the first episode airs on Wednesday 21st February dynamic creative will reveal who the public has voted to eliminate, and is left in the running, to battle it out for the celebrity ghost hunter crown. Alongside video footage is the call to action to tune in live every evening at 9pm and tweet using the show's hashtag #Celebhaunted. 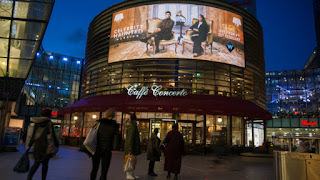 This third phase of the nationwide campaign will run on 950 screens across rail, roadside and retail environments from 21 February through to 25 February"
The spectacular outdoor advertising display was hosted at both Westfield Shopping Centres in Stratford and Shepherd's Bush on Saturday 17 February, with the transformation at 5.17pm, the exact moment the sun sets. 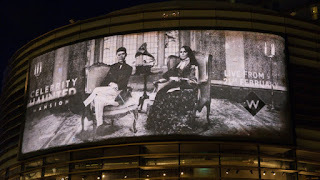 The transformative billboard featured the hosts of the new show, Christine Lampard and Matt Richardson, who morphed into ghostly Victorian characters after dark. As the sun set, the unique billboard saw Lampard and Richardson's faces become utterly unrecognisable as they were sucked back in time and possessed by Victorian ghost versions of themselves. Christine Lampard became a 'black-eyed' ghost in an image based on a real Victorian portrait as she sat inside the Victorian-built Mansion. A haunting sound shower accompanied the billboard and shoppers took to social media to comment on the arresting creative. 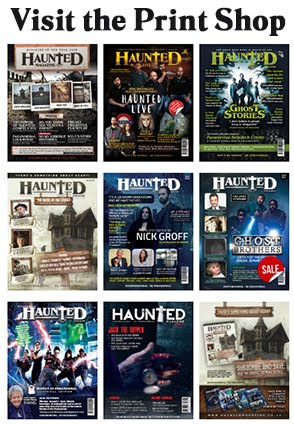 "And the media, papers, newspapers, press are all over it, fair play to the #CelebHauntedMansion marketing team, they are ticking the right boxes and getting the mainstream papers, those bastions of news (yes even the Daily Mail) involved"
There is something for everyone in Celebrity Haunted Mansion that loves the paranormal and loves to see celebrities get paid to scare themselves silly. 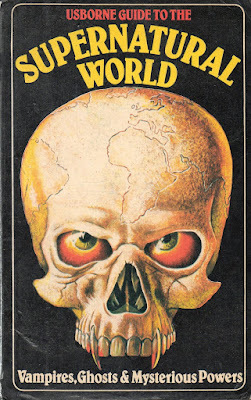 No need to bad mouth it, or vent your anger on twitter, (all that will do it to increase the #trending side of it) you have to accept that it is just the entertainment branch of the paranormal, no one should be offended by it. If you don't care for it, don't watch it. 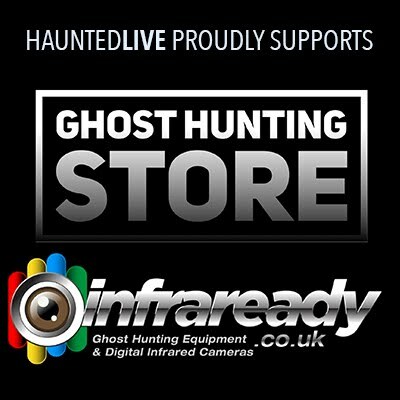 Let's be honest, those that love the paranormal and who have been on ghost hunts for 5-6 hours know that this won't be a copycat of "what we do", it is not an exact replica of this, it is a ghost hunt but with all the boring bits taken out and some fun games and well known people thrown in for good measure and whilst it's not everyone's cup of tea, it will be someones, frothy cappuccino with chocolate and hazelnut sprinkles, for sure. 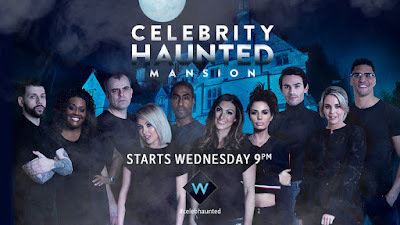 It will be a hit with the viewers, it will be probably be number 1-5 in the top programmes for W that week and will promote the paranormal, which cannot be a bad thing. Even the location is popular with ghost hunters and paranormal investigators alike, although the location is being kept under wraps, trust us, it is a popular one.. AND where would a show like #CelebrityHauntedMansion be without "paranormal experts". 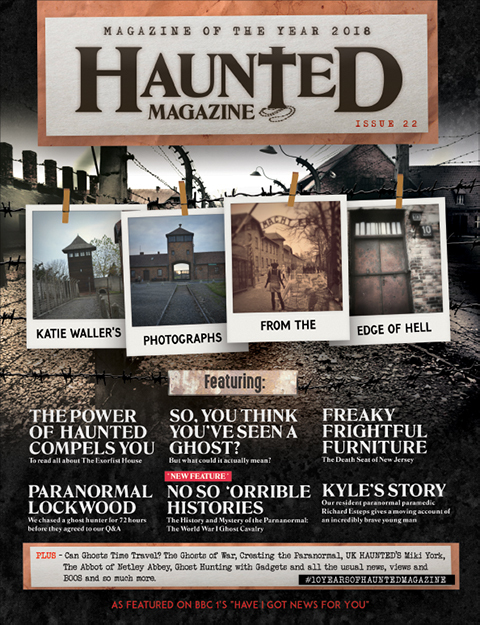 Now people have often said that there's no such thing as a paranormal expert and to be fair, we at Haunted Magazine have often agreed, but if you rewind it a little bit, tilt it on its side and shake it all about then they are experts of the paranormal, experts in their own opinion on the paranormal, experts none the less and they've dipped into the paranormal world and picked and plucked out people who we know, we like, and people we can connect too as being part of the paranormal, people like Barri Ghai, Chris Howley, Ryan Gooding and Eamonn Vann-Harris are part of the paranormal world that paranormal people live and breathe, we've chatted with them, exchanged messages with them, they're not celebrity mediums or celebrity ghost hunters, they're people who love the paranormal and are part of it and for I applaud UKTV and W for that. And they've plucked and pick two paranormal types from across the pond to be the "paranormal Jason Hawes and Jack Osbourne, both no strangers to the paranormal. 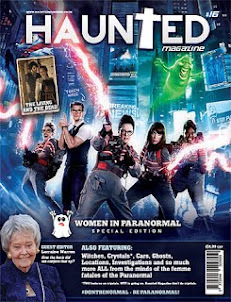 AND before all the women in the paranormal shout out in anger as to a male only platoon of "experts", fear not cos there was a female announced rather last minute, Katie Keeley and no we haven't heard of her either but good luck to her and our only negative is SHAME ON YOU #CelebrityHauntedMansion for not having more females from the paranormal world, a lesson to be learnt for next time WE HOPE!! 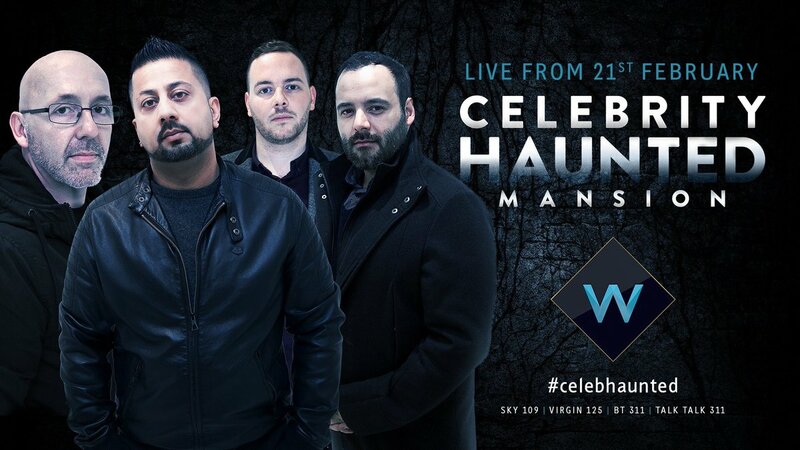 Anyway here are the names of the 10 celebrities that are taking part in #CelebHauntedMansionm the official spiel from UKTV / W Channel: Spending up to five nights in the terrifying gothic mansion, the full lineup is (in alphabetical order): Lydia Bright (The Only Way Is Essex), Simon Gregson (Coronation Street), Alison Hammond (This Morning), Jay Hutton (Tattoo Fixers), boxer Anthony Ogogo, actress Jorgie Porter, Katie Price, Blue's Simon Webbe, Mark-Francis Vandelli(Made in Chelsea) and Luisa Zissman (The Apprentice). 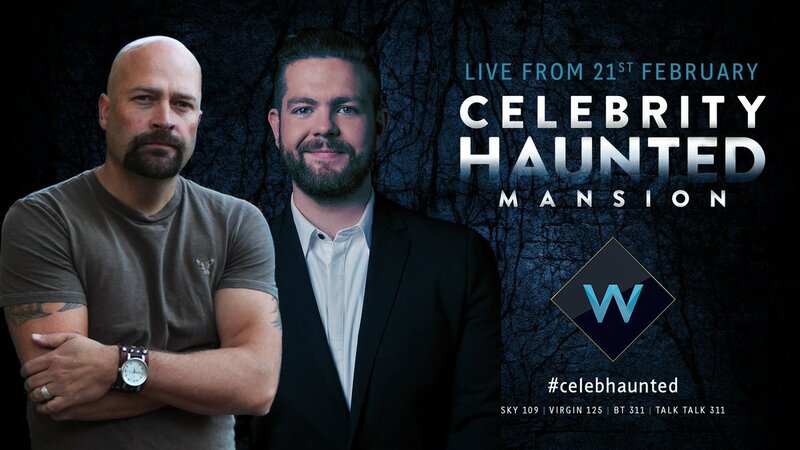 The celebrities will be split into two teams, led by paranormal experts Jack Osborne and Jason Hawes. They'll take part in live ghost hunts and attempt to uncover the secrets of the mansion while hoping to survive the public vote each night and end the series as champion celebrity ghost hunter. Overseeing it all will be hosts Christine Lampard and Matt Richardson. WHO WILL WIN, well as it is down to the public vote, you've gotta think that people like Simon "Steve McDonald" Gregson and Alison "This Morning" Hammond, will be high up there, I guess it depends on what happens during the live broadcast, as we all know the paranormal doesn't have or need a script, yes there might be auto-cues for the presenters, but if the paranormal wants to play it bloody will play. 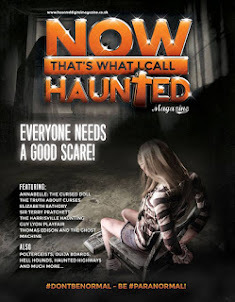 AND FINALLY, whatever you think about these celebrity paranormal TV shows, it looks like they're here to stay, with a LIVE Celebrity Ghost Hunt (the one currently airing on 5*Star) scheduled for March and a second series commissioned and I have a feeling in my Holy Water that there will be more in the pipeline but hey don't shoot the messenger.